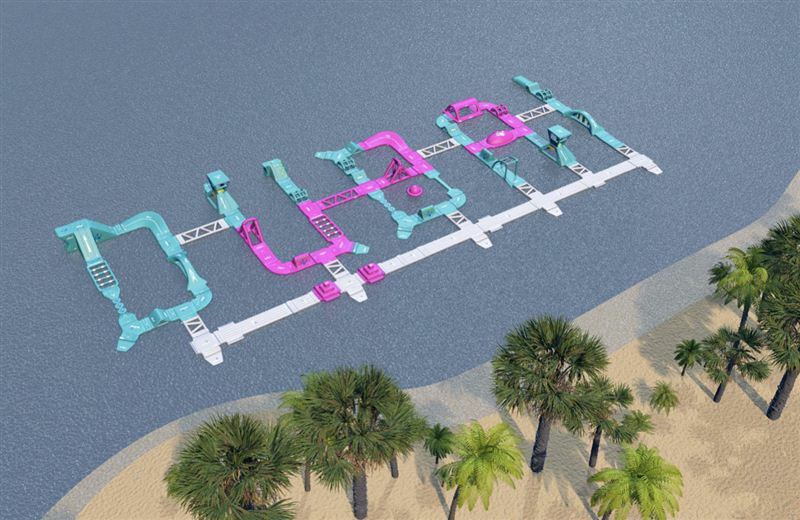 The emirate has a new landmark added to its shores, literally one could say, as Dubai Aqua Park floats in to become the newest addition to the JBR leisure arena. 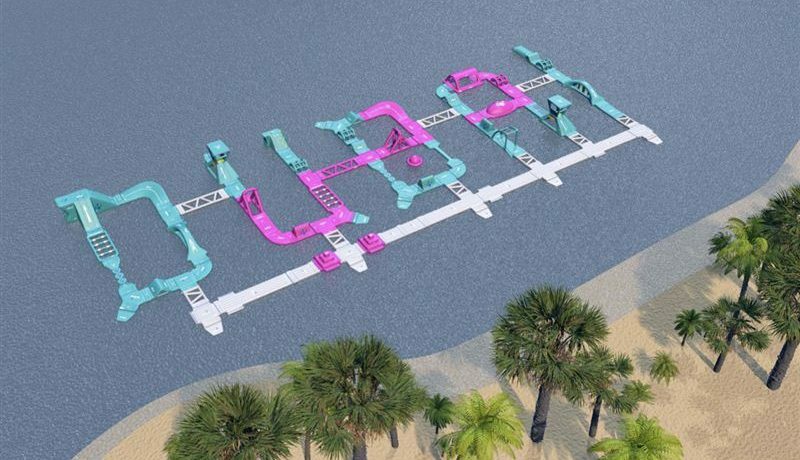 Taking inspiration from the city’s official logo, ‘as a tribute to everything that the city stands for from creativity, innovation, and dedication to its people’, the inflatable park spells out ‘Dubai’ in bold letters, running across 77 meters by 33 meters just off the coastline of JBR. Designed and created by Aqua Fun LLC’s founder Ahmed Ben Chaibah, the park can hold up to 500 visitors at the same time and will be officially opened to the public from September 1 from 10am to 7pm. The park is designed as an inflatable obstacle course for the visitor to overcome to reach the ending point, which includes a number of ramps, sidewalks, cliffs, towers, slides, wiggle bridges, curves and much more. The inflatables are made out of the best quality material that ensures a long lasting lifespan of the games. The games will have at least eight lifeguards at any point of time to ensure the best experience for its visitors. Visitors of the game can enjoy the game as batches on the top of every hour for a full hour of fun and play, before the next batch can go in. The launching date of the new park is just in time with the Eid Al Adha holiday, which gives the residents and the tourists coming for holiday an additional fun activity to look up for. Aqua Fun LLC was founded by the Emirati national, Chaibah. It was launched in 2013 with the largest inflatable slide ever registered across the world and was themed with the UAE flag colors. The first slide was inaugurated on the UAE National Day of 2013 on the Abu Dhabi corniche. The company has since then opened different locations across the country and in other neighboring countries such as Oman, Qatar, and Saudi Arabia. The total number of sites operated by Aqua Fun till date is 41.